Schott Zwiesel, the famed German producer of The Best Crystal Glassware has been a leader in innovation, style and technology for more than 100 years. The company has many firsts to its credit, including the first fully automated product of glass blown glass stemware. In the 1990's, as the glass industry struggled with the environmental issues of lead and other heavy metals in crystal, the company was the first glassmaker to produce lead-free crystal glass of superb quality and brilliance. Schott Zwiesel created Tritan Crystal in 2001 by adding titanium oxide and zirconium oxide to develop The World's Best Crystal Glass. 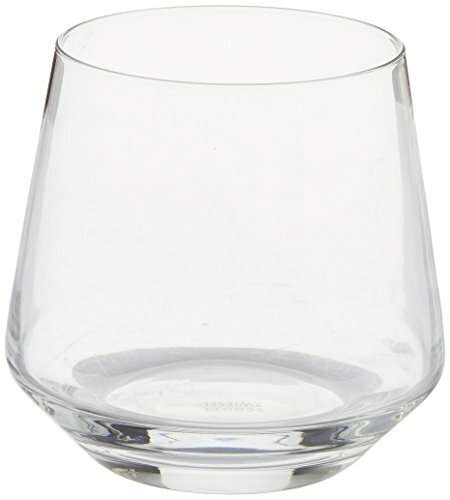 Tritan Crystal is 100-percent dishwasher safe-it will not etch, cloud or discolor for the life of the glass. Tritan resists the damages of daily use-breakage, chipping and scratching. Tritan is thermal shock resistant. Tritan is one of the most clear and brilliant crystal, capable of conducting, refracting and transferring light more than any other crystal. Tritan tempers the rim, the bowl and stem joint and the foot edge for added strength against chipping and breakage. All crystal items manufactured by Schott Zwiesel are cut with our patented laser technology for a smooth thin, elegant edge. 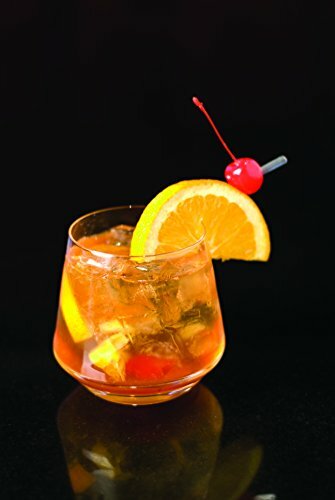 All stemware products are seamless after manufacturing; no unsightly seams remain between the bowl and stem, on the stem , or under the foot of the glass. Each detail of size, weight and balance is carefully studied by experts in the culinary field and our manufacturing engineers and executes to produce a glass for the maximum pleasure with focus on delivering the wine or spirit to its maximum potential. Pure is the collection when seeking fashion and dramatic styling. Its crisp lines create a geometric modern look. Pure is a full line with every proper shape for your favorite drink. This set is comprised of 6 Tritan crystal whiskey beverageware pieces. 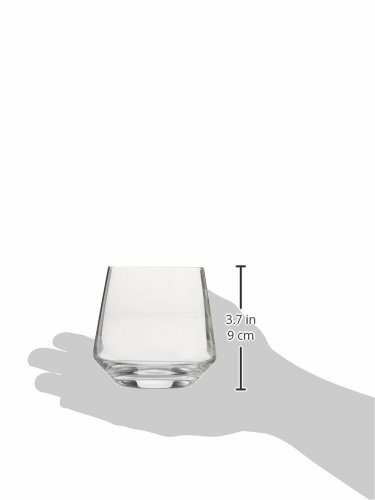 Each glass holds 13.2 ounces and is 3.5 inches tall. Dishwasher safe.